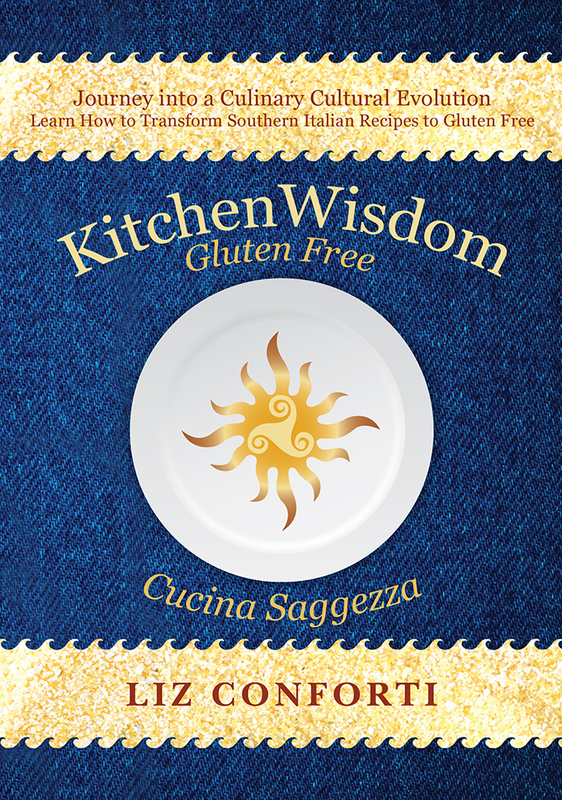 Watch Kitchen Wisdom Gluten Free Make Dark Chocolate! Kitchen Wisdom Gluten Free Deliciously Dark & Decadent Chocolate is the perfect solution for the chronicity of issues surrounding available gluten free chocolate. Generally chocolate requires an emulsifier to help combine and keep cocoa butter and cocoa together. American chocolate often includes Soy Lecithin as an emulsifier. Soy is a rotated crop with wheat in the US and is often harvested and processed on equipment which also supports wheat. As a result, cross contact of the protein gluten is inevitable in facilities which take no precaution to prevent cross contact of any proteins in the grains. Additionally, gluten rich barley malt is a sugar often used in modern chocolate preparation. Also, the soy for soy lecithin is often a GMO. Those of us who must eat gluten free are plagued with the ongoing issue of finding affordable & easy to get gluten free chocolate. A close friend decided to make some homemade chocolate using vegan ingredients and I was intrigued. Ultimately, I reworked the existing recipe a bit and decided to try my hand at home. What ensued was intense and incredible dark chocolate made in minutes. Here’s the thing, chocolate is so easy to make at home, I feel quite foolish for never having done this before! This is a quick and easy recipe, followed by lining a pan with wax paper, pouring the chocolate in and waiting a half hour to enjoy! This recipe is for a finished product which is velvety and scrumptious, however, it is not a travel chocolate. I have a friend who is an awesome cook and an incredibly talented herbalist, she suggests using a couple of tablespoons of beeswax chips to create a finished product which won’t stain your fingers when left out at room temperature. Either way, this chocolate will not last long in your home! I chose to do some research about chocolate; emulsifying and other ingredients currently in American processed chocolates. An emulsifier is a substance that stabilizes an emulsion by increasing kinetic stability. Oddly enough, cocoa powder and cocao butter do not combine and stay stable with out the aid of an emulsifier. Pictured below are cocao beans and cocoa powder. In this recipe, I use honey as a sweetener and because it mimics an emulsifier by keeping the butter and powder suspended evenly throughout the sheet of chocolate. It also acts like an emulsifier when used in dressings, marinades, hot sauces, etc. Honey is a sweet food from bees foraging nectar from flowers. It is 18% water and its moisture content needs to be offset when substituting it in baked recipes. Honey also contains electrolytes and other helpful nutrients. All chocolate has the building block of fat, glorious cocao butter. Cocao butter is also used as a topical base for many high end and organic skin butters and creams. I chose to purchase Equal Exchange (as I am concerned about child labor) organic cacoa butter. A pure and first cold pressed oil of the cacoa bean. It is a very stable vegetable fat, packed with nutritional elements such as flavonoids (antioxidants), Seratonin and Dopamine (which makes us happy); Magnesium, Manganise, Zinc, Calcium and Potassium. It is also a slight stimulant, which is why it is sometimes difficult to sleep directly after having high end chocolate with genuine cacoa butter. While researching how these ingredients work together, I discovered a very disturbing substitute currently being used in American products, it is called Pgpr. A food industry food additive, it has its roots in castor oil, but is so heavily chemically altered, it is of question how it behaves in the body. The FDA requires chocolate have 10 % concentration of chocolate liquor, the EU has a higher requirement. Chocolate liquor is defined as “pure cocoa mass in solid or semi-solid form.” The cocoa and the cocoa butter combined constitute what is being measured. If you have observed candy stating “chocolaty” or other absurd references to chocolate on the package without the word “chocolate”, this is due to the product not meeting the minimum standard for chocolate liquor content. After learning all of this, I jus t can’t see myself returning to consumption of massed produced chocolate. This recipe is so super easy! Enjoy! As women, many of us have had some sort mystical connection with chocolate in one way or another at least once in our lifetimes. I thought it might be fun to include a few factoids pertaining to chocolate’s witchy nature: In Aztec myth, the god of agriculture, Questzalcoatl, traveled to earth carrying the cocoa tree from Paradise, because it would bring humans wisdom and power. Cocoa beans were thought to have magical powers by Mayan Priests and were carefully used in rituals, religious ceremonies and healings by priests. No wonder many of us enjoy sitting with good friends enjoying good chocolate! Prepare 2 square 6″x 5″ (2 inch deep) dishes by lining them with wax paper, cut to fit. Melt the Cacao Butter in the top of a double boiler on a medium simmer until just completely melted. Remove from heat. Whisk in cocoa powder, followed by the honey. Whisk in the vanilla extract. Pour chocolate into each lined previously prepped plate, smooth with the back of a rubber spatula. Place in the refrigerator for a minimum of 30 minutes (time varies according to age and coldness of one’s refrigerator). Retrieve hardened chocolate. Use a butter knife stabbed into the center of the block to crack and break into pieces. Make chocolate with nuts or seeds: During Prep you can chop up 2-4 tablespoons of raw nuts or seeds and mix them in just before pouring chocolate. Once the chocolate has refrigerated for a minimum of 10 minutes, sprinkle with Coarse Sea Salt. Add Beeswax Chips: to provide a more stable structure and to reduce meltage and sticky fingers. Some coconut oil might work too. This entry was posted on August 23, 2016 by kitchenwisdom2013 in dark chocolate recie, dark chocolate recipe, forget what you know about wheat, gluten free chocolate, gluten free dark chocolate, gluten free dessert, kitchen wisdom gluten free, Uncategorized and tagged cocoa, cocoa butter, dark chocolate, desserts, honey.